More than 900 games were released for the Original GameBoy and GameBoy Color. Many of these titles are easy to find, but others are rare and in some instances very valuable. Below is a list of the most expensive and rare GameBoy & GameBoy Color games. Shantae is a platformer. You play as a heroine who uses her hair to attack enemies. It was very well received critically. A sequel was released for DSiWare. The game was released at the very end of the Gameboy Color's lifecycle, a full year after the Gameboy Advance had been released. Because of this late release Capcom printed the game in limited quantities and is very hard to find today. Spud's Adventure is an action/adventure game with very heavy RPG elements. You play as a potato who must save a tomato princess in a tall tower. The game is divided up into multiple levels, which contain puzzles, mazes, or a combination of both. The game was developed by Atlus and received a very small print run like most Atlus games. It was never reprinted and remains very rare today. A new copy has never been sold publicly. Mega Man 5 is an action platformer. It is just like precedding Mega Man games for NES and Gameboy. Mega Man defeats a boss at the end of a level, gains their weapon, which he can uses on other levels and bosses. The game was the last in the series released for the Gameboy. Mega Man 5 in used condition sells for about $10 more than Mega Man 4. 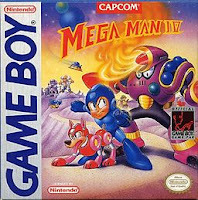 Mega Man 4 sells for $800 brand new so Mega Man 5 could sell for more than $1,000 in new condition. 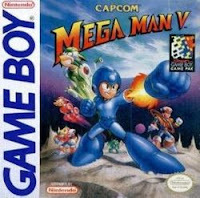 Like Mega Man 5 above, Mega Man 4 keeps the same game mechanics but includes different bosses and brand new levels. The only new gameplay addition with 4 is the ability to buy items with power-ups you find in each level. To this date it has never been re-released on any Mega Man compilations or the Virtual Console, which helps keep the price high. Castlevania Legends is an action platformer. It is the step-child of the series that Konami wishes they could forget about. The game's producer is on record saying "Legends remains something of an embarrassment for the series." In spite of this "embarrassment" collectors are still willing to pay top dollar for the game. A new and 90+ rated version of the game sold for $12,500 recently, which makes it the most expensive Gameboy game ever sold. 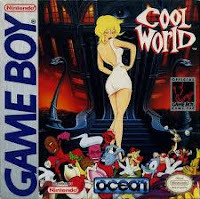 Cool World is an action platformer for the original GameBoy. The game is based on the Cool World movie and comics. You play as Frank Harris, a police officer in the movie, who must collect coins and shoot "doodles", the bad guys in the game. The game is not extremely rare, but sells for a high price. A new copy of the game has never been sold since we started tracking prices and sales data. Resident Evil Gaiden is a survival horror game for Gameboy Color. It is a departure from other games in the series because gameplay is top-down and battles are fought in first person. You deal damage by timing button presses with the movement of a reticle on screen. 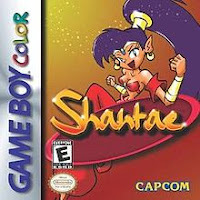 The game was released the same week as Shantae (see above) and sold poorly because the Gameboy Advance was already a year old and people had forgotten about Gameboy Color games. This cartridge was released by Wisdom Tree and contains a full NIV Bible and 20 extra levels to the game Joshua: Battle for Jericho. Like other Wisdom Tree games it was only sold in Christian bookstores. The game was unlicensed. A complete copy of the game with box and manual sells for $530 and a sealed version sells for $7,000. Space Station Silicon Valley is a portable version of the game released for Nintendo 64 game. You play as EVO, a robot/microchip, that must possess the bodies of animals and use their unique abilities to solve puzzles and beat enemies. The game is a cult classic with a small but devoted fan base. The game was developed by the studio that would become Rockstar North, the makers of Grand Theft Auto. 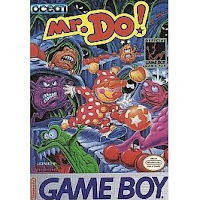 Mr Do is similar to Dig Dug. You dig tunnels underground and try to get as many points as possible by killing monsters and gathering fruit. The game was first released in arcades in the 1982 but didn't get released on the Gameboy for another decade. It is one of the rarest licensed games for the Game Boy. The Super Nintendo version of the game is very rare as well. 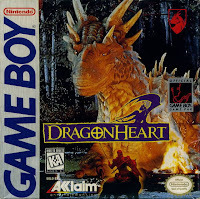 DragonHeart is a first person Role Playing Game loosely based on the DragonHeart movie. Moving around the game takes place in first person view, but battles revert to a side view. The game is moderately rare, but not impossible to find. It is one of the cheaper games on this list in brand new condition. 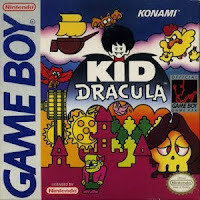 Kid Dracula is a platformer and parady spinoff of the Castlevania series. You play as a kid version of Dracula who must use his father's tips and items to beat the boss Galamoth. The game was a spin-off from the original series and didn't sell as well as any of the original Castlevania games. 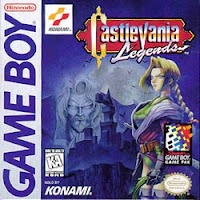 The game is frequently referenced in other Castlevania games, like Symphony of the Night, Aria of Sorrow, and Judgement. Metal Gear Solid is a stealth action game with a new plot and gameplay to the PS1 game with the same name. The plot is an alternate sequel to the original Metal Gear and not part of the main series storyline. 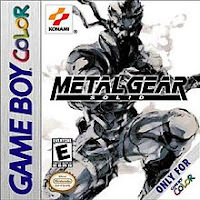 Metal Gear Solid for Gameboy is the rarest of the Metal Gear games but still readily available. It is one of the best rated games of all time, which helps explain the high prices. 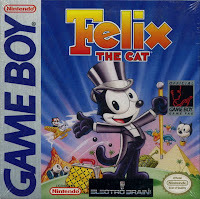 Felix the Cat is a 2D platformer based upon the Felix the Cat cartoons. The game has some levels on land, air, sea, and even under-water. The game is quite rare and ranks as one of the harder Game Boy games to find. The exact reason it is so hard to find is unknown. 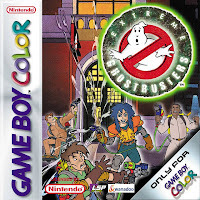 Extreme Ghostbusters is an action game based upon the animated series of the same name. You control any of the four Ghostbusters, Kylie, Garett, Roland, and Eduardo and must capture or destroy ghosts in New York City. The released of this game in the USA is debatable with some people claiming it was never released in the USA and others claiming it was. It only sells once or twice a year. The list is ranked by the highest average used price and then highest average new price in the event of a tie. What's popularity measured by? Number of sales? Popularity is based upon the number of page views for each game on VideoGamePriceCharts.com. Basically the games that people look up the prices for most often. I heard that pokemon silver was sold at gamestop for $25 so i dont believe in your price. how accurate is this? my local retro gaming store has the NIV bible game for sale for $500.00. last year it was on sale for 600.00 and they've dropped a hundo on it since. It's in really good condition. they even have that Myriad game for NES on sale for A thousand bucks. are they ripping ppl off? 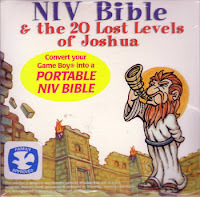 Is the NIV Bible game complete or is it just the cartridge? If it is cartridge only it is way over priced. If it is complete that isn't that bad a price. Myriad 6-in-1 on the other hand might just be a bargain. The last sale on ebay was for $1,100. well I have a peculiar game playing on this original Gameboy...it is called 105 in 1 Mortal Kombat 3. Sure enough, it has one hundred and five games on it. Have you heard of this one? @anonymous - Cartridges with lots of games on them are bootlegs that were generally made in China or somewhere else in Asia. For the most part they aren't really valuable but some of the NES cartridges like that do sell for a decent amount. You can base prices of items on what people are SELLING them for on Ebay. You have to look at completed listings. @anonymous - All our the prices listed are based on what people actually paid for completed listings. They are not people's asking prices, but the final price on a sale with an actual buyer. 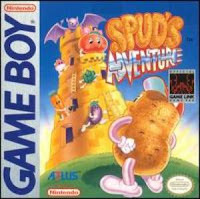 A CIB copy of Spud's Adventure recently sold for around $500. I had never heard of it before then. I love this site. You can't contend with posts like this because it is based on unbiased data. Beautiful, this site is, being a haven against the ugly beast in the collector world known as hearsay. @anonymous - The prices listed on our site at for NTSC versions. Some games are very easy to find in Europe but hard in the USA and vice versa. This list is based upon USA prices and USA rarity. Yeah, seriously, Trip World loose fetches upwards of $120! Love the list though! i have a few nintendo nes games 1985.made in japan"Blaster Master" "Dr. Marioi" "Amagon" and "fci ZANAC". any one have information about the price. MEGA MAN V is NOT the final in the series on the NES. There is a Mega Man 6. Come on man, keep your facts straight.